More than a performance space, the space is a nucleus of stand-up comedy and comic book geekdom. It’s like comic-con writ small—very small—and with more laughs. Since opening two years ago, the Nerdist Showroom at Meltdown Comics in Hollywood has transformed the store’s back room into a scruffy 150-seat theater. More than a performance space, it is a nucleus of stand-up comedy and comic book geekdom. Hosting up to 35 shows a month, the NerdMelt lineup includes podcast recordings, sets by comedians like Louie creator Louis C.K., and visits from venerated writers such as Grant Morrison of The Invisibles. “It just feels like home,” says program director Danielle Kramer. “That’s why I started coming here and never left.” Therein lies the appeal: Fans finally have a clubhouse they can call their own. 1. 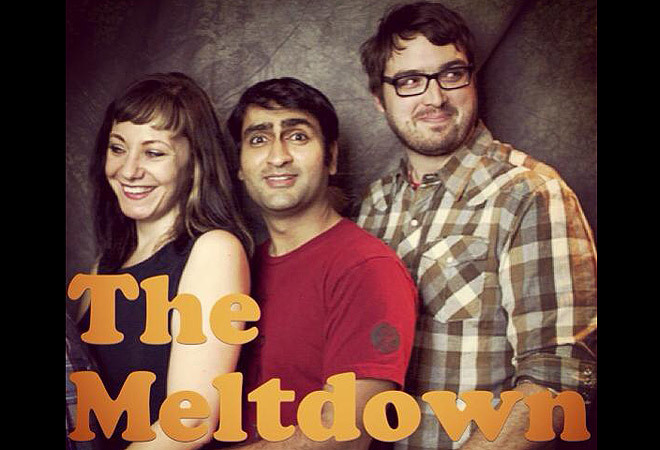 The Meltdown: Hosted weekly by Jonah Ray and Kumail Nanjiani, the flagship event draws big names—Dana Gould, Maria Bamford, Marc Maron—and those on their way up. 2. Harmontown: Former Community show runner Dan Harmon and comedian Jeff B. Davis’s live podcast might include a sing-along, a Dungeons & Dragons game, or an angry Chevy Chase voice mail. 3. RISK! : Intimate real-life tales are told by writers, actors, and funny types who blend humor with pathos. Next articleHow to Celebrate Pynchon in Public Day in L.A.
L.A. Comedy Pros Grapple with Booking Louis C.K.